This is a slightly different post to my usual writing, because today I’d like to introduce you all to Coco Chanel…in polymer clay form. Coco Chanel is a commission of mine from the incomparable Kirsten Miller of Quernus Crafts. 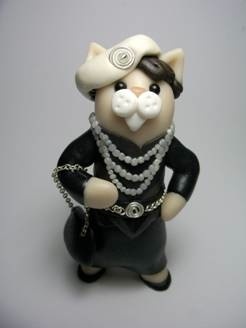 There’s more detail here about her and how she was made: Quernus Crafts: Coco Chanel Cat (b.8 April 2011). I do love the story of Coco Chanel, although I know she wasn’t an altogether pleasant character, she is fascinating to read about and I think that Kirsten has captured her attitude perfectly. I only wish I could afford that outfit myself! 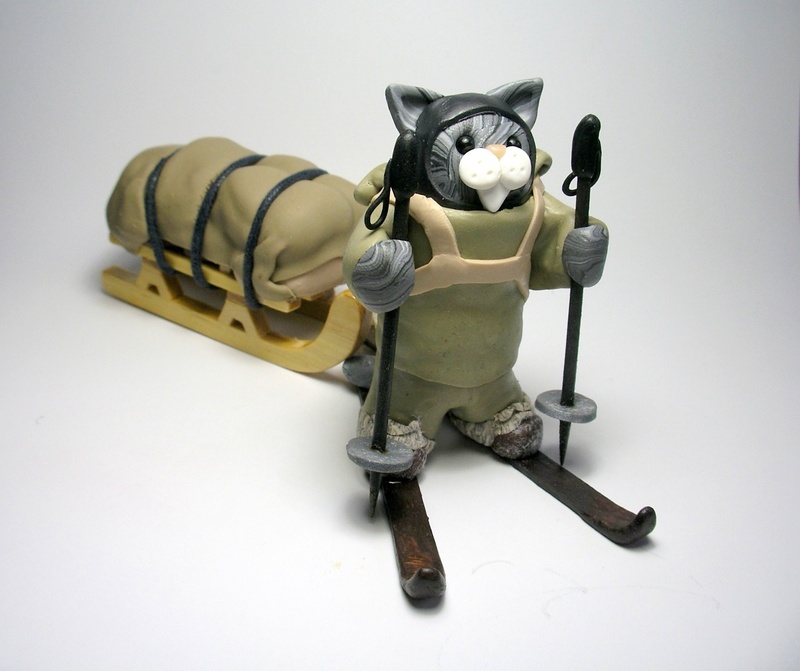 There are a few more photos of him here: Quernus Crafts: Scott of the Antarctic Cat (b.18 February 2011). Scott Cat is very much loved and is now proudly exploring the sitting room of Sam’s new home. If you get the chance, Kirsten is going to be at the Made- It Craft Fair this Saturday, 2nd July in St Margaret’s Hall, Horsforth, Leeds, LS18 5LQ. If you can’t get along to that, then do visit her website Quernus Crafts to have a look at all the wonderful characters she has created, and maybe buy one for yourself! Love it! I would love one of my departed dog Purdy. That would be lovely – a nice tribute. Get in touch with Kirsten, I’m sure she’d be happy to take on your request. See you soon!